The Internet was a computer network established by the US Department of Defense in 1969, through an ARPA agency project that developed a network called the ARPANET (Advanced Research Project Agency Network), where they demonstrated how with computer hardware and software based on UNIX. The initial purpose of the construction project was for military purposes. At that time the US Department of Defense created a scattered computer network system by connecting computers in vital areas to solve problems in the event of a nuclear attack and to avoid the occurrence of centralized information, which in case of war can be easily destroyed. ARPANET initially linked only 4 sites - the Stanford Research Institute, the University of California, Santa Barbara, the University of Utah, where they formed a unified network in 1969, and in general the ARPANET was introduced in October 1972. Soon the project growing rapidly across the region, and all universities in the country want to join, thus making ARPANET difficult to organize. Therefore the ARPANET was split into two, the smaller military "MILNET" and the new "ARPANET" for non-military purposes such as universities. Combined both networks eventually known as DARPA Internet, which then simplified into the Internet. Before the Internet emerged, there have been several digital-based communication systems, one of which is the telegraph system which is often regarded as the precursor of the Internet. This system appeared in the 19th century, or more than a hundred years before the Internet was used extensively in the 1990s. Telegraph technology itself comes from an existing concept even before the first modern computer was created, the concept of data transmission through electromagnetic media such as radio or cable. But this technology is still limited because it is only able to connect a maximum of two devices. In later eras, scientists like Claude Shannon, Harry Nyquist, and Ralph Hartley, developed the theory of data transmission and information, which became the basis for many theories in this field. The development occurs, among others, in the form of a wider range and increased speed. But difficulties still occur because the relationship between the two communication devices must occur physically, for example via cable. Such a system is certainly not safe because it can be easily disconnected, especially during a war. 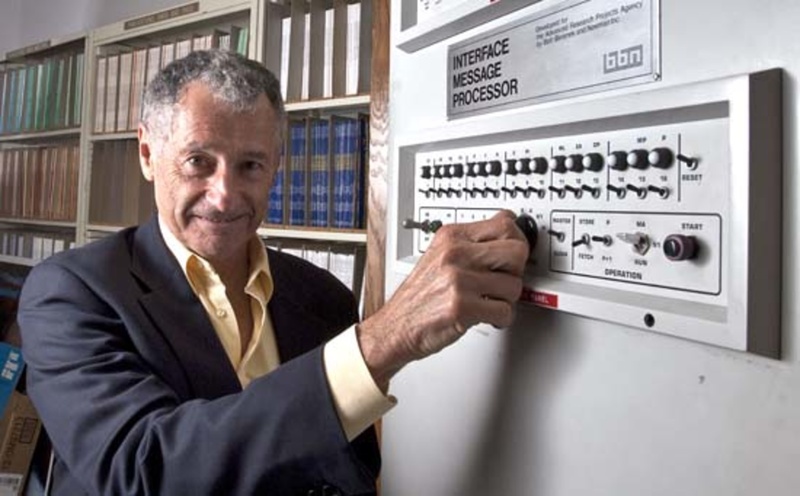 Leonard Kleinrock is the father internet internet inventor alias where he found the internet precisely dated October 29, 1969. begins with the creation of Interface Message Processor or if currently called the router. From this basic machine is finally created. Sir Timothy John "Tim" Berners-Lee, KBE (TimBL or TBL) (born in London, England, June 8, 1955) is the inventor of the World Wide Web and chairman of the World Wide Web Consortium, which regulates its development. In 1980, while still a free contractor at CERN, Berners-Lee proposed a hypertext-based project to facilitate the sharing and updating of information among researchers. With the help of Robert Cailliau he created a prototype system called Inquire. After leaving CERN to work at John Poole's Image Computer Systems Ltd, he returned in 1984 as a research associate. He used a similar idea he had used with Enquire to create the World Wide Web, where he designed and built the first browser (called WorldWideWeb and developed in NeXTSTEP) and the first web server called http. 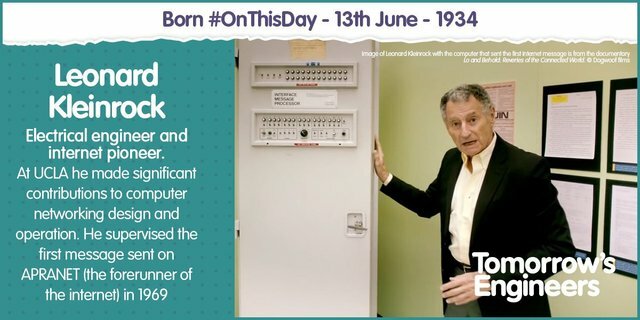 So based on the above articel quote, the first internet inventor was "Leonard Kleinrock". Sebelum Internet muncul, telah ada beberapa sistem komunikasi yang berbasis digital, salah satunya adalah sistem telegraf yang seringkali dianggap sebagai pendahulu Internet. Sistem ini muncul pada abad ke-19, atau lebih dari seratus tahun sebelum internet digunakan secara meluas pada tahun 1990-an. 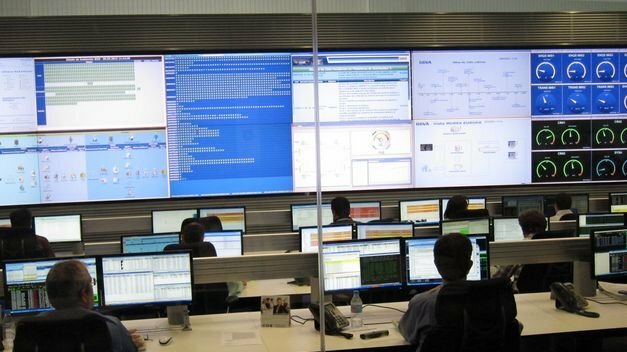 Teknologi telegraf sendiri berasal dari konsep yang ada bahkan sebelum komputer modern pertama diciptakan, yaitu konsep pengiriman data melalui media elektromagnetik seperti radio atau kabel. Namun teknologi ini masih terbatas karena hanya mampu menghubungkan maksimal dua perangkat. Di era selanjutnya, ilmuwan seperti Claude Shannon, Harry Nyquist, dan Ralph Hartley, mengembangkan teori transmisi data dan informasi, yang menjadi dasar bagi banyak teori di bidang ini. Perkembangan terjadi antara lain dalam bentuk jangkauan yang lebih luas dan kecepatan yang meningkat. Namun kesulitan masih terjadi karena hubungan antara dua alat komunikasi tersebut harus terjadi secara fisik, misalnya melalui kabel. Sistem seperti ini tentu tidak aman karena dapat dengan mudah diputus khususnya saat terjadi perang. 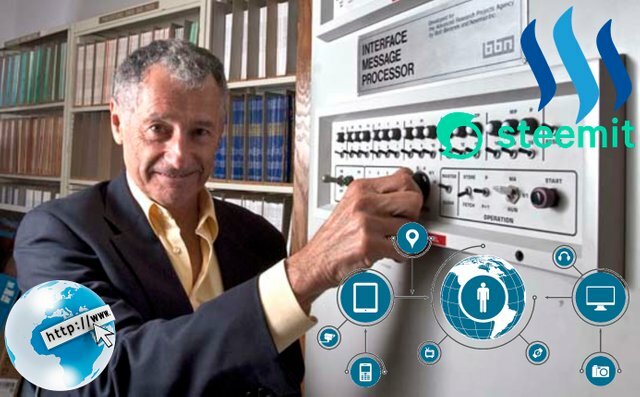 Leonard Kleinrock adalah bapaknya internet alias penemu internet dimana beliau menemukan internet tepatnya tanggal 29 Oktober 1969. diawali dengan pembuatan Interface Message Processor atau kalau saat ini disebut dengan router.Dari dasar mesin inilah akhirnya internet tercipta. Setelah meninggalkan CERN untuk bekerja di John Poole’s Image Computer Systems Ltd, dia kembali pada 1984 sebagai seorang rekan peneliti. Dia menggunakan ide yang mirip yang telah dia gunakan pada Enquire untuk menciptakan World Wide Web, di mana dia mendesain dan membangun browser yang pertama (bernama WorldWideWeb dan dikembangkan dalam NeXTSTEP) dan server web pertama yang bernama http. 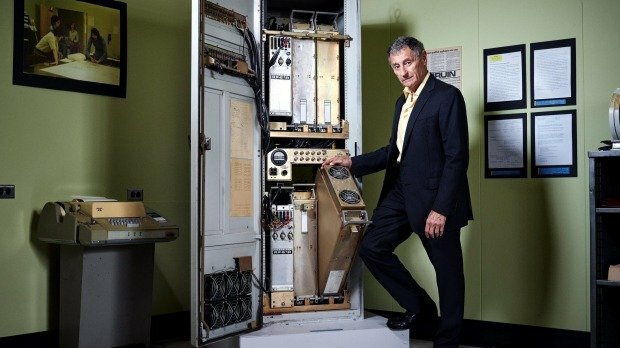 Jadi berdasarkan kutipan articel diatas , penemu internet pertama kali adalah ” Leonard Kleinrock “.